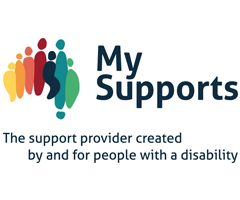 My Supports is a young dynamic and innovative national disability service provider with offices in Perth and Sydney. We are a rapidly growing and evolving, peer-led organisation, committed to making a difference in the lives of individuals, with physical, developmental or cognitive disabilities. With over 20% of our employees having a disability and over 30% having significant lived experience, we have a vision to deliver quality, individualised support through our Neighbourhood Teams, bringing local knowledge and connections. We carefully match support workers to help clients be included in and contribute to their community. We wish to give back to the communities we work in by empowering our employees from all walks of life. We have a shared culture of respect and professionalism, continuous improvement through open and honest communication, and a passion to make a difference in the lives and communities of those we support. Due to a period of high growth we are seeking a suitably qualified professional Psychologist to join our New South Wales team. This is a new role, supported by an experienced team of professionals, delivering a range of psychological services to a variety of clients of all ages, including children. The ideal candidate will have autonomy to create a new client base whilst delivering quality psychology clinical services to existing clients. A back ground in/and or relevant disability industry experience would be desirable, in assisting and supporting clients, their families, careers and other stakeholders, to achieve their goals through a person-centered approach of ‘choice and control’. C class license, access to a reliable vehicle and comprehensive insurance. The ability to work with both children and adults is highly desired. It is an exciting time to join My Supports, on a full-time basis, with flexible working arrangements, as we continue to build and deliver on our vision, mission, values and growth. You will be surrounded with an experienced team where collaboration is the key for our success. Salary is negotiable, based on experience. Applications must include a cover letter (Maximum 2 pages) that addresses the selection criteria and a current C.V.